Microsoft Dynamics 365 for Finance and Operations helps medium-sized to enterprise-sized businesses work smarter with connected operations, deliver exceptional customer experiences, fast-track business performance, and get real-time information on almost any device, anywhere, anytime. Track and manage enterprise-wide financials with enterprise-grade general ledger, accounts payable, and accounts receivable. Help organizations streamline processes, enhance vendor and inventory management, and increase delivery speed by unifying and consolidating supply chain operations. Manage your capitalized assets over their financial lifecycles, with automated processes to increase your efficiency in tracking values and reduce reporting errors. Reduce inbound and outbound processing and delivery costs by automating warehouse operations. Financial reports provide insights into an organizations financial state at the end of defined periods. Accurately project product availability and need with advanced forecasting algorithms and excel visualizations. Ben Hagler, Co-founder Hagler Systems. Bring agility and efficiency to your manufacturing to optimize production planning, scheduling, operations, and cost management. Optimize production planning, project management, operations and activity scheduling, and cost management. 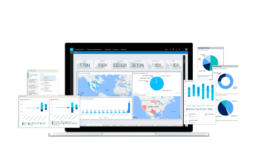 Dynamics 365 for Finance and Operations integrates with a plethora of third-party applications in order to extend functionality, increase business insights, and provide greater synchronization across all of your business applications.